Northern Spark 2013. Photo by Jim Pfau. Welcome to our Singing. Photo by Martha Beverly. Northern Spark 2013. Photo by Matt Wells. Sacred Harp is a uniquely American tradition that brings communities together to sing four-part hymns and anthems. It is proudly an inclusive and democratic part of our shared cultural heritage. Participants are not concerned with re-creating or re-enacting historical events. Our tradition is a living, breathing, ongoing practice passed directly to us by generations of singers, many gone on before and many still living. 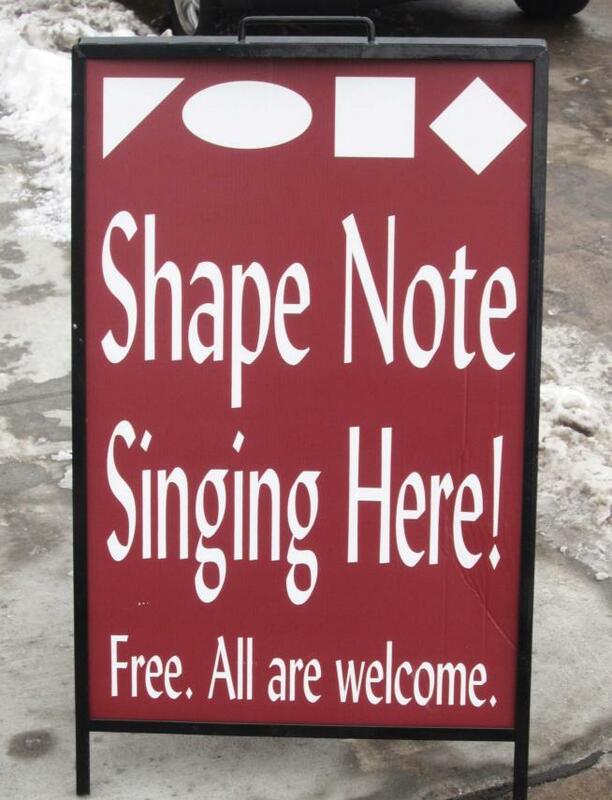 All events welcome beginners and newcomers, with no musical experience or religious affiliation required — in fact, the tradition was born from colonial “singing schools” whose purpose was to teach beginners to sing. Our methods continue to reflect this goal. Though Sacred Harp is not affiliated with any denomination, it is a deeply spiritual experience for all involved, and functions as a religious observance for many singers. 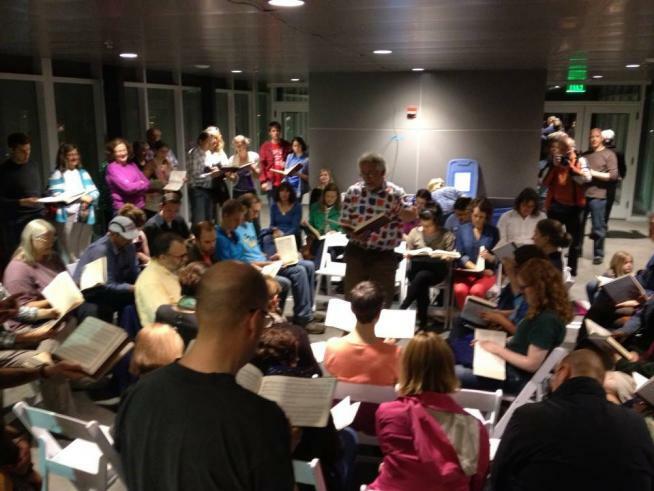 Sacred Harp “singings” are not performances. There are no rehearsals and no separate seats for an audience. 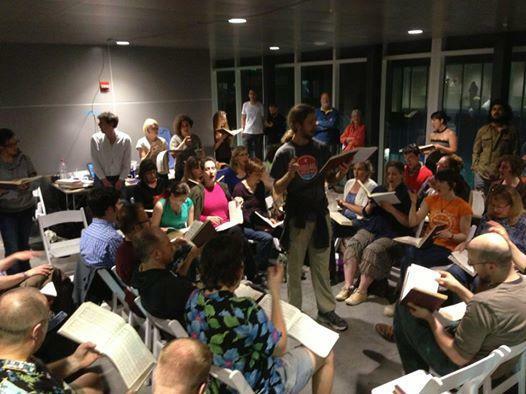 Every singing is a unique and self-sufficient event with a different group of assembled participants. The singers sit in a hollow square formation with one voice part on each side, all facing inwards so we can see and hear each other. However, visitors are always welcome to sit anywhere in the room and participate as listeners. Singing School schedule: 10:45 pm, 1 am, and 3:15 am.